Wine left to age offers up exceptional flavors you just can’t get with new wine. It also lets you sample wine from a year that holds a special memory, such as the year of your marriage or the year your child was born or adopted. The best aged wine is also a delight to savor, a unique transformation in a bottle that you can share with friends on everything from a warm summer day to a cozy winter evening. Not all wines age well. A taste of an old wine that wasn't meant to be aged might reveal sour vinegar flavors or strangely nutty or burnt aromas. Your wine might also smell musty or cabbage-like, with dull, lifeless fruits. Wines that are able to age have particular characteristics that enhance their age-worthiness. Roughly 98 percent of wines on the market are intended for immediate consumption or for limited aging of no more than 5 years. 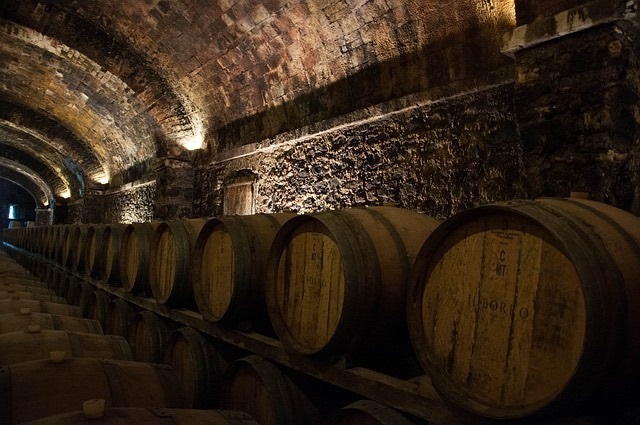 Just 2 percent will benefit from long-term cellaring. But those 2 percent can deepen into something delightful, and are a marvel to taste. Good wines to age will share certain characteristics regardless of whether they are red wines or white wines. The best candidates for aging have good structure and balance. Structure comes in the form of tannins, residual sugar, alcohol and acidity, with higher acidity and higher tannins contributing to an extended lifespan. Your wine will also age well if it has moderate to high residual sugars to help slow down the process. Alcohol content helps here as well, but it is most beneficial in fortified wines. In non-fortified wines, the alcohol can have the opposite effect if it doesn’t have high acidity to act as a balance. Red wines have other phenols – such as anthocyanins that impart color – that aid in slowing down oxidation. White wines typically lack these phenols and tannins and cannot age for as long unless they have high acidity and high residual sugars to compensate. It's all about the balance! Now, how can you identify what wines to age in your collection, and for how long? Red wines generally need longer to reach maturity than do white wines. While a Cabernet Sauvignon might reach maturity in 10 to 15 years, a Sauvignon Blanc or Prosecco might get there in just 2 to 3 years. Your wine will also experience differences in aging potential depending on where it was produced. For example, a Washington Riesling might mature in 6 years while an Australian version might reach maturity at the 10-year mark. Typically, for red and white wines that age for 10 to 20 years, think Cabernet Sauvignon, Brunello, Barolo, red Bordeaux, Sauternes, ice wine, Semillon and German Riesling. For reds and whites maturing in the 5- to 10-year mark, look to Rioja, Super Tuscans, Syrah, Cabernet Franc, Champagne, Zinfandel and white Bordeaux. Reds and whites that usually reach their peak before 5 years are often better for storing, not aging. These might include Beaujolais, Chardonnay, Sauvignon Blanc or Pinot Gris. What wines age the best? Here are our 10 recommendations for some great wines to age. For assistance in selecting high-quality wines to age in you collection, feel free to reach out to our wine experts at JJ Buckley Fine Wines.